How can I increase the energy efficiency of my equipment? It is necessary to keep air conditioning/heating equipment at peak performance with preventative maintenance. Cleaning/replacement of dirty filters, keeping the right charge and airflow, cleaning the coils helps to save on energy costs, improve overall comfort at home, and helps fight global warming. To attain the highest efficiency it is necessary to ensure that the inside of a room cabinet is insulated properly. Insulation will provide protection from outside hot air in cooling season and outside cold air in heating season. 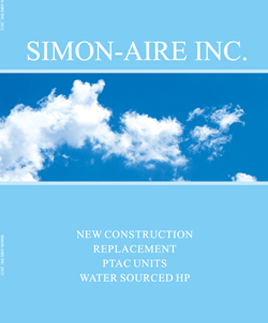 If you are replacing an air conditioner, look to buy high efficiency equipment. EER rating stands for Energy Efficiency Ratio and describes how well the system (window A/C, PTAC, WSHP) will work at peak season. SEER is the Seasonal Efficiency Ratio and is used to describe efficiency levels of split systems. The higher efficiencies are likely to be quite cost effective. Why is it important to do regular cleanings on equipment? It is recommended to have all air conditioning equipment cleaned twice a year. If you don’t change/clean the filter, the airflow will go down, and the system will not perform well. Not only that, but if the filter is too dirty, it starts to become a source of air pollution itself. If you take the filter out completely, you would solve the low airflow problem, but this victory would be short lived. The particles that the filter would have taken out will now build up on your evaporator coil and eventually cause it to fail. A new filter is a lot cheaper. Do I need to replace the wall sleeve and the grille if a new PTAC is being installed? New installations require a wall sleeve and an exterior grille. If the existing wall sleeve and exterior grille are in good condition it is not necessary to have them replaced. Our engineering crew can guide you through that process.